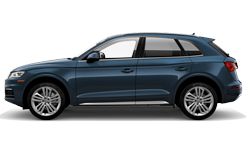 The 2018 Audi Q5 from Audi San Diego in California, serving La Jolla and University City, is an SUV reserved for the sophisticated driver. You never show up unannounced because everyone recognizes you when you pull up in your 2018 Audi Q5. The high-end design features a Singleframe grille and full available LED lighting. 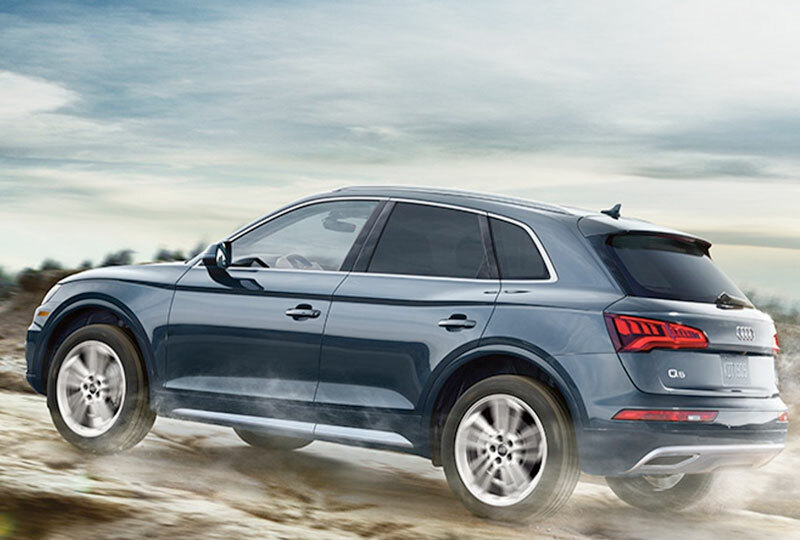 Legendary Quattro all-wheel drive gives you the freedom to explore dense cities and steep mountain hills alike. There's nothing stopping you from enjoying a little adventure. Never miss a beat with the Audi smartphone interface that allows you to take calls, access your music, and follow navigation all without taking your hands off the wheel. 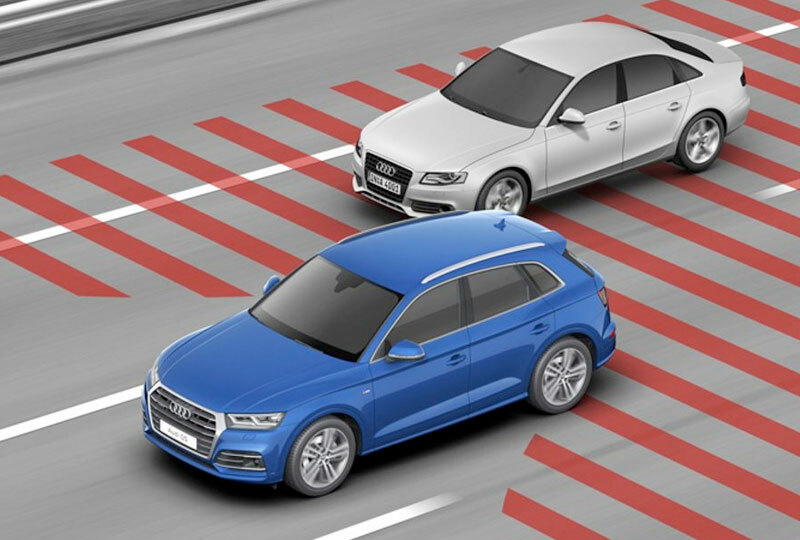 Audi Pre-Sense Basic will help you during an emergency by closing side windows and the sunroof, as well as tightening seatbelts when it suspects a collision impending. Today is a great day to buy a new 2018 Audi Q5! We have a great 2018 inventory, so call us today at 866-980-4112 to schedule your test drive or visit our showroom at 9010 Miramar Road, San Diego, CA, 92126. 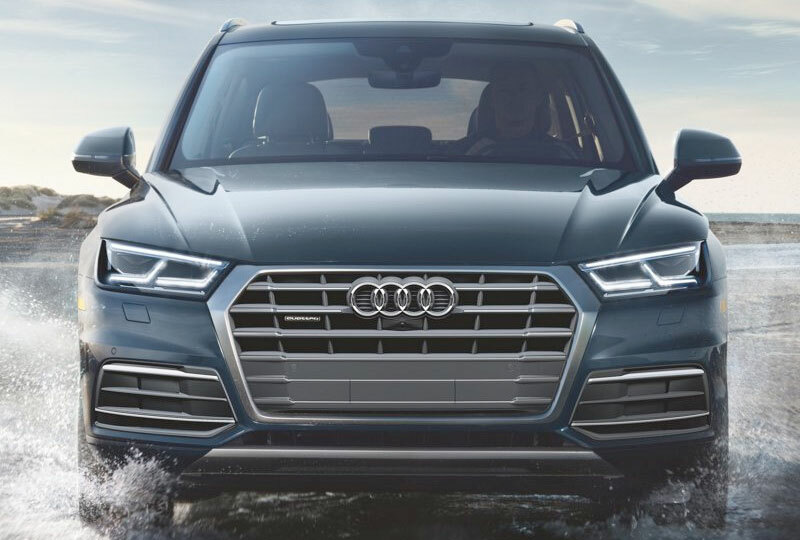 We can't wait to put you in the 2018 Audi Q5 of your dreams! The distinguished Audi Q5 design aesthetic continues throughout the cabin of the vehicle, combining comfort and sophistication to create an exhilarating environment for drivers and passengers alike. 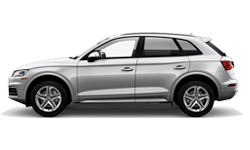 The Audi Q5 is engineered with legendary quattro® all-wheel drive and the powerful 2.0 TFSI® engine that puts out 252 hp and 273 lb-ft of torque. 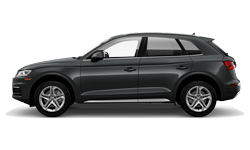 Paired with a dual-clutch seven-speed S-tronic® automatic transmission that features remarkably fast and smooth shifting performance, the Audi Q5 delivers a dynamic driving experience. 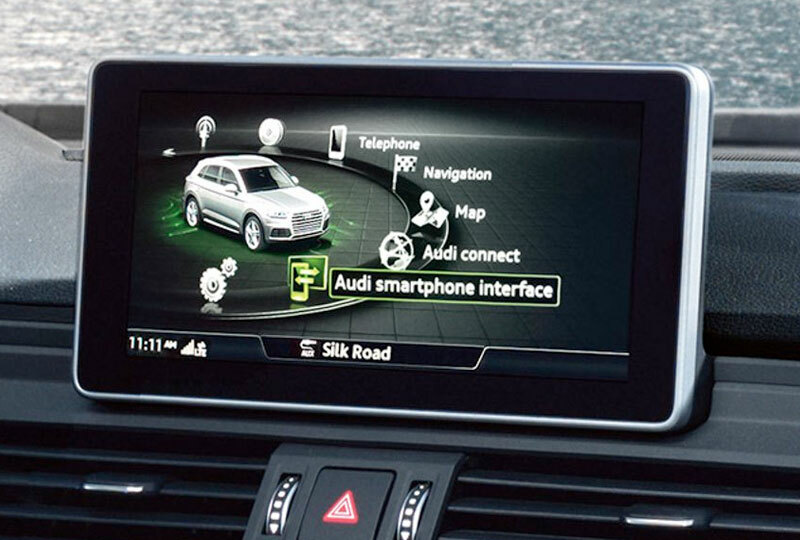 The available Audi virtual cockpit is a fully digital 12.3-inch instrument cluster that allows the driver to customize information such as navigation and audio, offering classic and infotainment modes as well as Google EarthTM or Google Street ViewTM screen options. This available feature, part of the Premium Plus trim level, uses rear sensors to help scan the area behind the vehicle and sides while a rear view camera helps provide additional visibility when backing up, as in reversing out of a perpendicular parking space. In critical situations, a warning tones and brake jolt can be applied to prompt the driver to stop the vehicle.